One State Skills testing with Indiana CDL Training Center truck and trailer. PTDI is the nation’s foremost advocate of standards and professionalism for entry-level truck driver training. The purpose of PTDI is to advance commercial motor vehicle driver training, proficiency, safety, and professionalism by promoting high-quality truck driver training courses and verifying and publicly attesting to their quality. Indian CDL Training Center is using the PTDI curriculum and is using the textbooks and web based training that PTDI and Delmar have partnered in making. 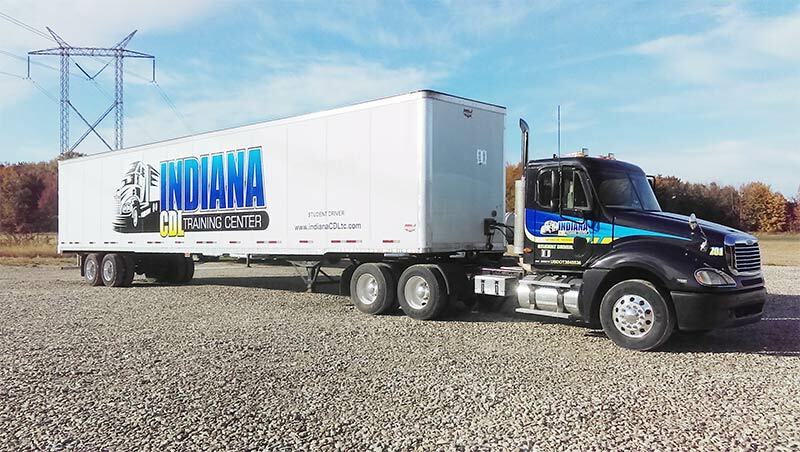 Indiana CDL Training Center does not just train you to pass the State Skills Test, we train you to operate a Commercial Motor Vehicle. We will be teaching, demonstrating, practicing: coupling & uncoupling (Class A), shifting, handling cargo, extreme driving conditions, just to name a few. We also instruct students on how to evaluate job offers by breaking down salary, benefits, and bonuses. We are committed to the success of our students! Students must pass the classroom with 80% or better and progressed per the Instructor to be safe for testing. Indiana CDL Training Center is a frontrunner in CDL Schools. When fully implemented in February 2020 all states must require the following for entry-level Driver Training. Indiana CDL Training Center is working to meet these requirements by 2018. All training providers must certify its students are “proficient” in skills curriculum before taking the CDL exam. All over-the-road instructors must have two years teaching or industry experience. All training providers must apply and be approved by the FMCSA (Federal Motor Carrier Safety Administration) and be listed on the FMCSA’s Training Provider Registry. Students who are not certified by a school on the registry will not be able to test for a CDL. All training providers must indicate how many behind-the-wheel curriculum hours the student completed on the student’s certificate.